The other night I went up to My Margret where she was sitting on the couch and gave her one of my saddest looks ever. Bess has been giving me lessons so I’m getting pretty good at it. My Margret asked me what was wrong and got up off the couch and said “show me” like she does to Bess. I guess My Margret thought that maybe I wanted to go outside although she knows I always ring the chime so I’m not sure why she thought that. But anyway as soon as she got up I made my move quick as a flash to take her spot on the couch because it was all warm and cozy from her sitting there. I almost made it too but My Margret said “Oh no you don’t, that’s my spot!” and quickly sat back down. I didn’t know she could move so fast! 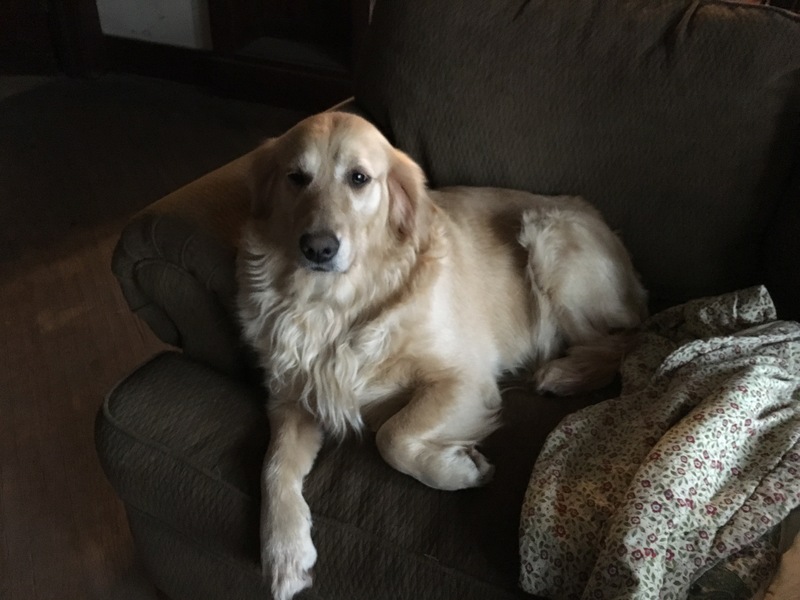 Well before I could get all fussed up about not getting to sit there My Margret patted a spot on the couch beside her and asked me if I would sit with her. 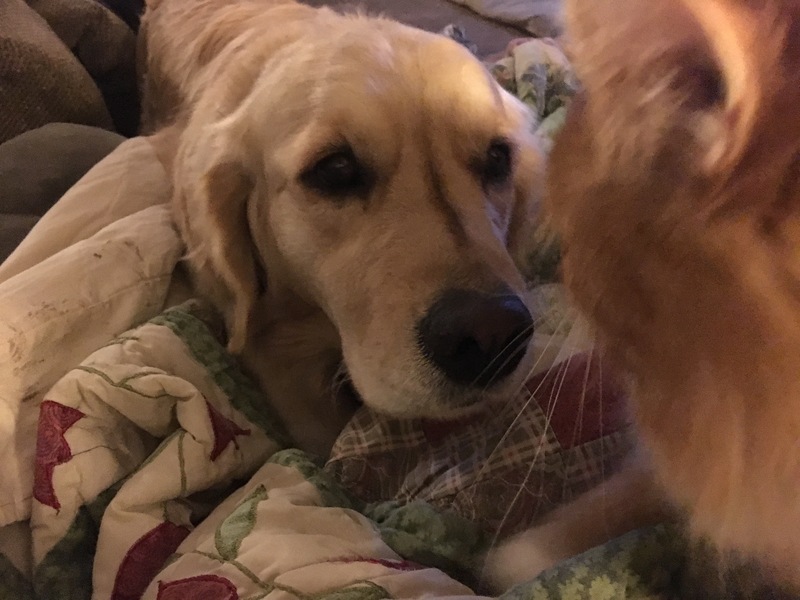 ~ this is Belle “the I almost made it but that was good too” Pup for the rest of the Pups and Kitties. I love my stuffies! They are my friends. I also give them to My Margret and My Greg when I think they need a friend or when I need to make sure my stuffies are safe until I come back for them. 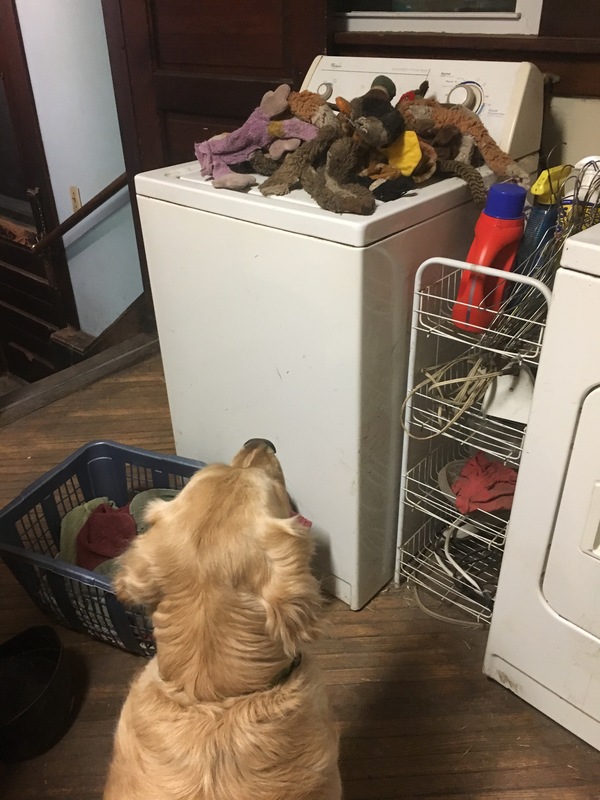 This morning My Margret gathered up a lot of my stuffies to give them a bath. I was really worried about them but My Margret said I would get them back soon. It’s really hard to wait for soon. I asked Linus if it was almost soon, he said he didn’t know. But he said if I took a nap soon might get here faster, so I did. The next thing I knew My Margret woke me up to tell me my stuffies were done with their bath. So I went right over to the stuffie bin and grabbed my two favorite ones. 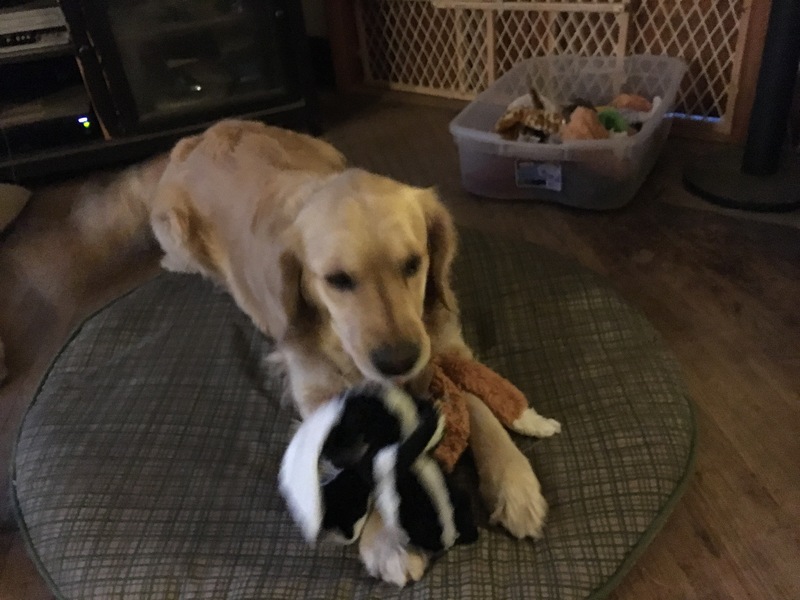 I was so happy to have my stuffies back that my tail was a blur it was wagging so fast! 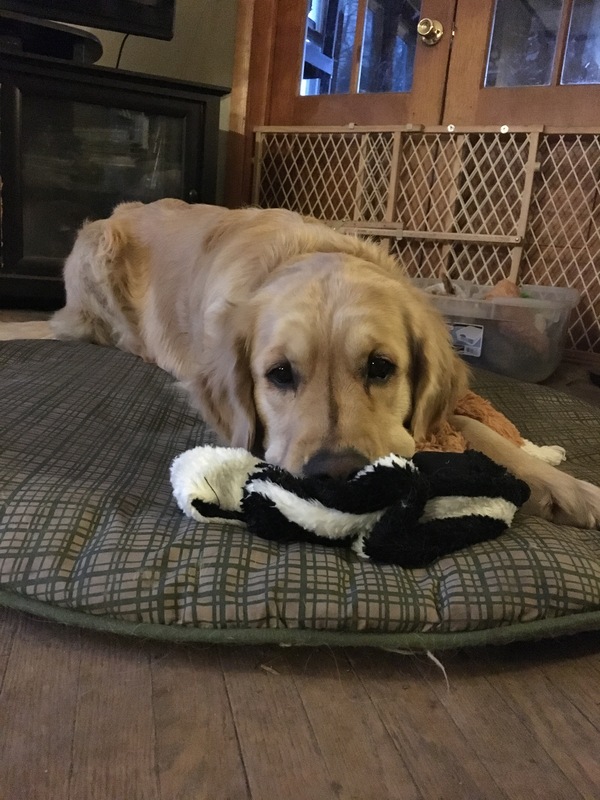 ~this is Bess “my stuffies are back and I’m happy again” Pup for the rest of the Pups and Kitties. 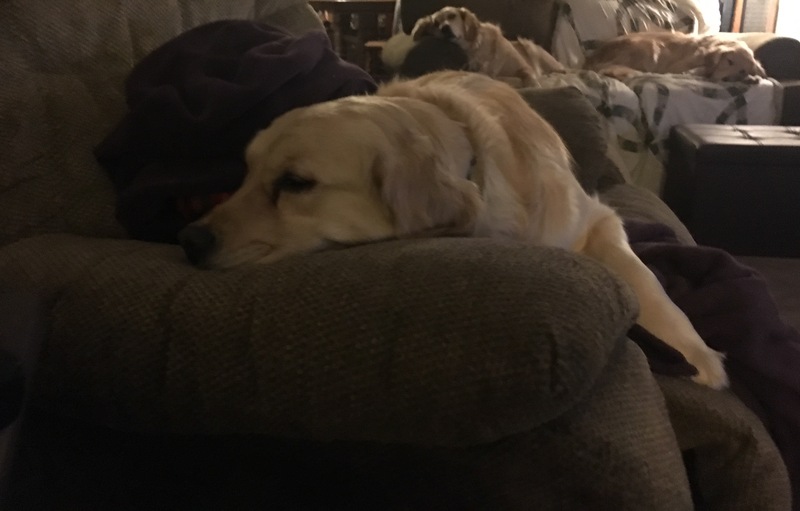 My sister Belle is the “watcher over all of us” pup. She does a great job but sometimes she needs help so she made me her “Finder and Keeper Tracker of Imaginary Whatchamacallits.” My Margret and My Greg say I do a really good job! The past few days there have been a lot of imaginary whatchamacallits to check out. So there’s been a LOT of in and out and in and out and …. Thank goodness both of my sisters are really good at helping me keep an eye on things. We speak sister so all I have to do is look out the window or head for the pup porch door and they are right behind me. But getting My Margret or My Greg to let us out can be kinda hard sometimes. I don’t ring the “gotta go” chime (my sisters do that for me.) 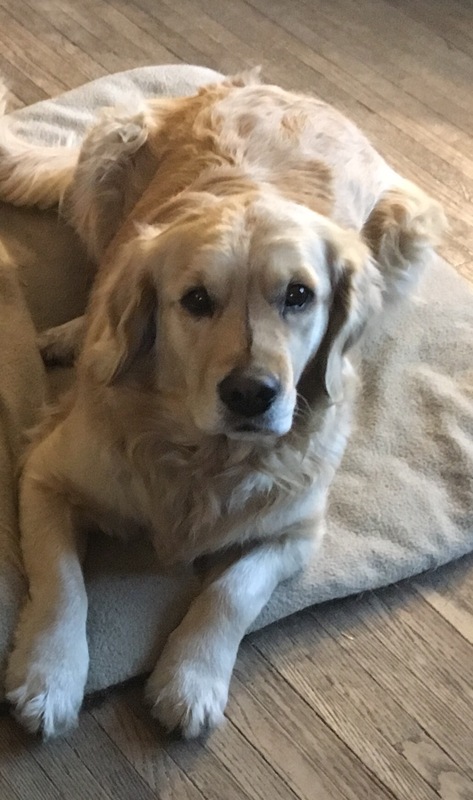 So when they don’t know I want to go out I go and stand by My Margret or My Greg and give them the “something is happening I need to go out right NOW” stare, if that doesn’t work I bump their arm, hard, then they say “show me” and I run to the pup porch door. Hey! I just thought of something, My Margret and My Greg get a lot of exercise as they get up to let us out, I guess that also makes me the “making sure my family gets enough exercise” pup. Oh there’s another one gotta go! ~ this is Bess “Finder and Keeper Track of Imaginary Whatchamacallits” Pup for the rest of the pups and kitties. A few days ago our friends Noodle, and his sisters Macy and Molly along with his mom and dad said goodbye to their very special kitty Jamison. We didn’t know very much about Jamison except that he was a very loved kitty then today Noodle posted Jamison’s story and reading about how Jamison became a part of Samantha and Greg’s family (Noodle’s mom and dad) he was indeed a very special kitty who knew who he wanted for his family. We’re very glad that we had a chance to learn more about what made Jamison the special kitty that he was. Our thoughts, prayers, nose nudges, cuddles and hugs go out to Samantha, Greg, Noodle, Macy and Molly. ~Bonnie, Belle, Bess Pups, Linus and Lucy Kitties and My Margret and My Greg. Some of My Margret and My Greg’s big and little people came to visit a few days ago. I had posted to our Three Pups and a Couple of Kitties Facebook Page that the littlest little person Katie had told her mom that she wanted to come and see me AND she was going to meow with me. She did and we had the best time! Katie really liked my tail, now I am quite proud of my fluffy tail and I might have waved it under her nose some well maybe a lot while she was following me around the house, but she just touched it and didn’t pull it which was very nice of her. When she was in her highchair eating I would hang around and we would meow together, I’m pleased to say that she’s coming along very well with her meow lessons. ~this is Linus “the keeping an eye on things in between naps” Kitty for the rest of the Pups and Kitties.